Hiya #JarMarkers, sup? It's been a beautiful start to the New Year and February is about to get a whole lot prettier. So we've donned our chic pink cargo pants been on an epic bug safari. Pew-pew-pewpewpew!! - Troubles with INBOX crashes have been stamped out. - Stronger login in bad wifi and mobile reception areas. The Memory Jar, Jar of Happiness, Happy Jar and Jar of Blessings for your iPhone that you have been waiting for! 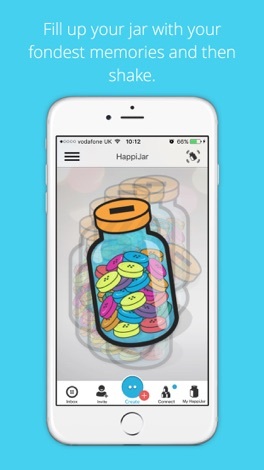 HappiJar is a stunning new way to both safely and privately save away all your happy thoughts in one beautiful app. Save MUSIC, PHOTOs, EMOJIs, SOUND, and TEXT on to your HappiButtons to remind you of how wonderful your lives really are. You can now even share a happy thought with your best friends and family who love to 'feel' what really makes you smile. Just connect your personal jar to theirs and give them a happiness gift which will last a lifetime. HappiJar uses a bright and engaging design to make sure it's always fun to use, focusing on mindfulness and the active pursuit of happiness. 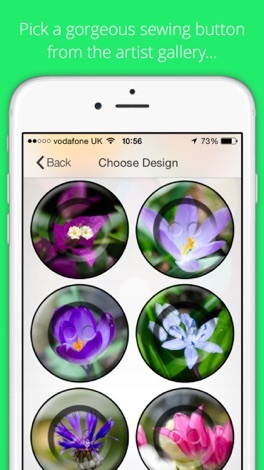 You can even earn in-app rewards to spend on gorgeous downloadable artwork. You have serendipiously stumbled upon THE most creative way to record your experiences, and a stunning way to save your private thoughts in the age of social media and digital content. It's FREE so what are you waiting for? Give HappiJar a try today. "OMG what a great app!! 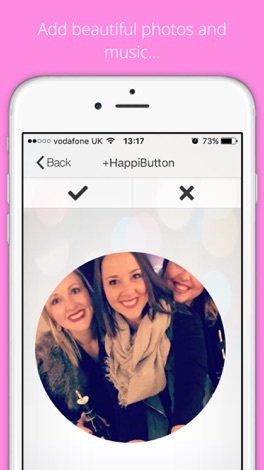 This app is so cool :) Save your happy times onto a button. Lol - it's madness but it works really well! Then put them all into a glass jar... truly inspiring. I love the shake function too. Being reminded of random great stuff is such an awesome idea. Can't wait to convince my family to join too. We all could do with some happiness in our lives. Thanks for developing this app. Life changer." 5 Stars! "It's just what I want!!" 5 Stars! "One of the best apps I use daily, lovely to pop buttons in every night & realize how lucky we are." 5 Stars! "What a clever idea! 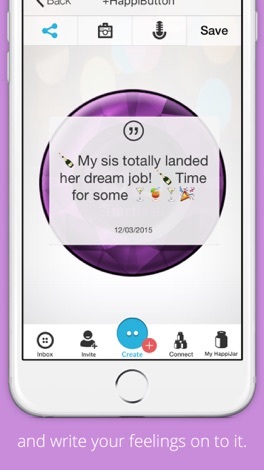 Have a happy moment: record it and drop it in your HappiJar! When you're feeling a bit rough or your friends or family need a bit if smile; shake your jar and share those moments! Inspired!" 5 Stars! 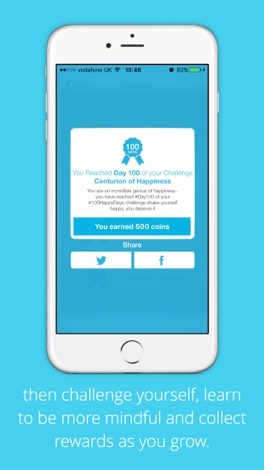 +Bonuses and gifts can be earned in the app by simply using the app well. Use bonuses to download more entertaining and artistic HappiButtons. You can also purchase more bonuses as in-app purchases if you wish. Nails must match your image and mood. And we have to choose from. Elegant, frivolous, French, wedding, glamor, three-dimensional. And even in the hearts and sequins! Among the dozens of categories you certainly podberesh for yourself something original. And we'll help you to realize all this. Treat yourself and your nails! An airline simulator. Air Tycoon is a turn-based strategy game in which you manage an airline. It's both micro-management, there's a lot of micromanagement to maximize profit for every plane and terminal, from how much tickets cost to how much your staff earn; and macro-management, when you decide to cancel existing routes and open new ones. The am….